The egg and mushroom combo is often considered a breakfast staple, but I find it just as satisfying and rewarding at dinner or supper time as I do at breakfast. A couple of weeks ago, as I was rummaging through the fridge trying to find something for a quick dinner, I came across a little brown bag with two gorgeous field mushrooms inside. I think I had bought them for a barbecue lunch the week before, but somehow they got left buried and forgotten at the back of the fruit bin. Now was their time to shine. Sprinkled with a generous helping of Italian herbs and dotted with butter before grilling, they are my second favourite incarnation of mushrooms (beaten only by the juicy, tapas-style garlic and sherry ones). Topped with a fried egg, sunny side up of course, which allows the runny yolk to meander through the rocket and down into the mushroom cup, saucing the lot. Juicy, fragrant and delicious. Perfect for a light breakfast, brunch, dinner or supper. I like to crumble some feta over the top of the dish, or if I’m really hungry I cook up 50g of angel hair (fine) spaghetti and serve it alongside the dish for extra carbs. Mushroom: turn mushroom stalk side up, sprinkle with Italian herbs and dot with 1 teaspoon of butter. Place on a baking paper lined cookie tray under a medium hot grill for about 5 – 7 minutes, or until the mushroom has browned and wilted gently and butter has melted. In the meantime prepare the egg. Egg: Heat 1 teaspoon of butter in a small fry pan over medium heat. Crack in the egg carefully as to not break the yolk. Cook for 5 minutes until the egg white is set but the yolk is still runny. 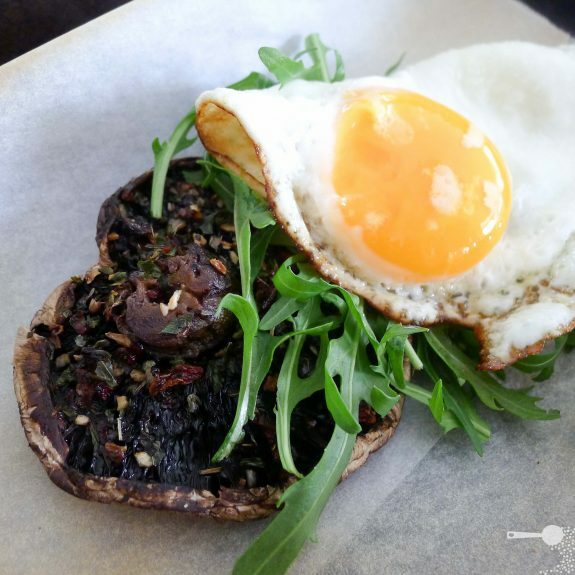 Serving: Place mushroom on the plate, top with a handful of rocket leaves and fried egg. Season with pepper and a little salt to taste. It’s nice to see a fellow mushroom lover appreciate the lovely flavours! Rocket is also known as aragula. Hope that helps. 🙂 Or you could use baby spinach or lettuce leaves. 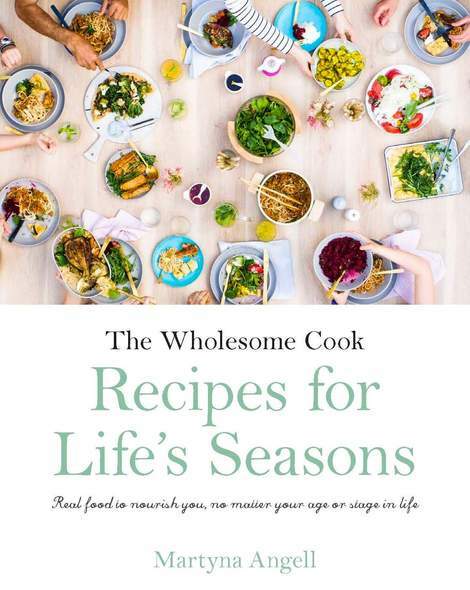 I so adore you photogrpahs, not mentioning the recipes. Fantastic blog. And the mashrooms I am going to try this weekend, so simple yet amazing. I love mushrooms! This recipe looks fantastic and your photos are great.